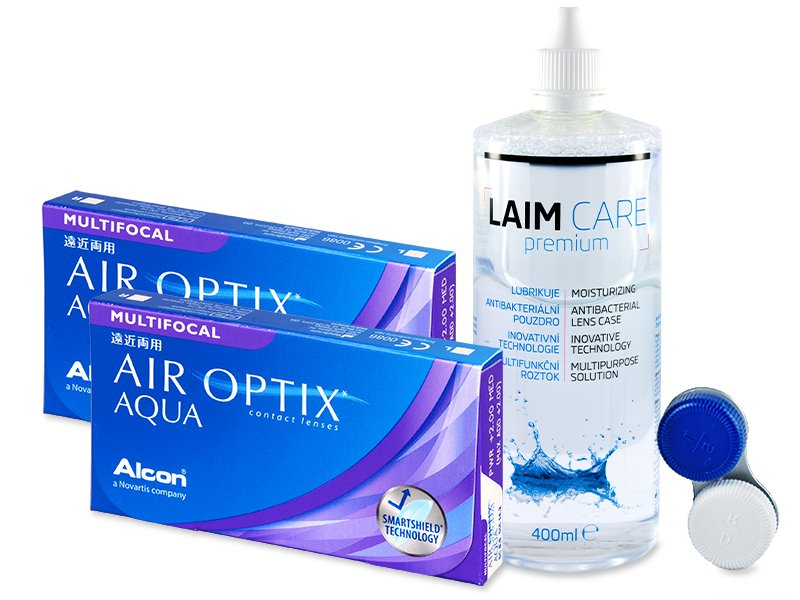 Air Optix Aqua Multifocal are designed to ensure maximum comfort with all-day moisture technology and exceptionally high oxygen permeability. Our value package contains lenses, Laim-Care solution and a contact lens case. 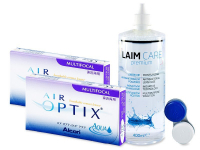 Air Optix Aqua Multifocal by Alcon provide comfort and clarity for patients with presbyopia. Air Optix Aqua Multifocal have a monthly replacement schedule and, thanks to their advanced Precision Transition Design technology, they provide clear vision at all distances. Each box contains three lenses.